The head designer for Tilander Golf Design is golf course architect Lassi Pekka Tilander. With more than 40 years of golf experience under his belt, Lassi Pekka is a former amateur National Team member for Finland and a PGA member as a teaching professional since 1991. Clearly, he understands the essence of the game on all levels. 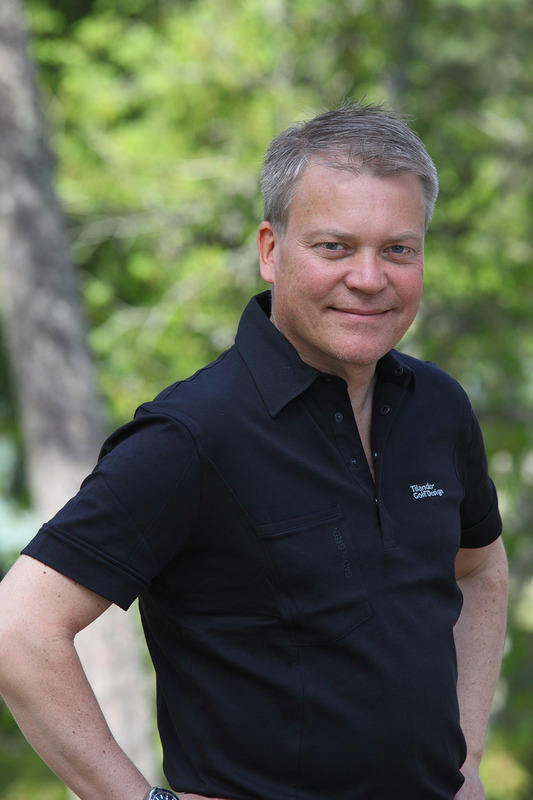 Lassi Pekka Tilander was the first golf course architect in Finland to be accepted as a full member by the European Institute of Golf Course Architects. He received his Professional Diploma in Golf Course Design in 2005 in University of Edinburgh, Scotland. Presently, his finished designs include 20 golf courses spanning five countries. In addition, he has completed redesigns for many respected and well-established golf clubs. In his other professional career, Lassi Pekka has constantly worked with all things visual. He has experience as an art director for an advertising agency. He is also a respected golf course photographer. The cornerstone of Lassi Pekka Tilander's design philosophy is to create new and still respect classic golf design traditions. The future of golf must be quick and easy - not forgetting the fun. The golf course should also look good. At best, the course and the surrounding nature is combined seamlessly.